My Valentine will begin his day with a breakfast treat. 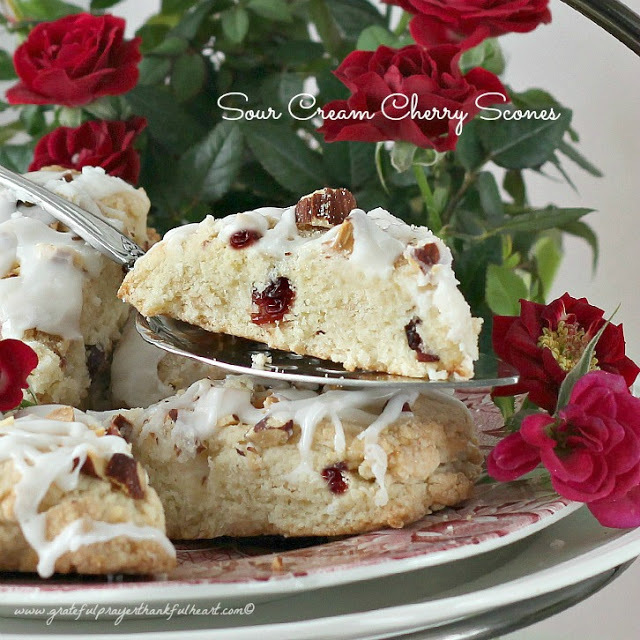 Sour Cream Cherry Scones are not-too-sweet and filled with dried cherries, sprinkled with chopped almonds then drizzled with a confectioner’s glaze. Heat oven to 375°F. Combine all topping ingredients in small bowl; mix well. Set aside. Combine flour, sugar, baking powder and salt in large bowl; cut in butter with pastry blender or fork until mixture resembles coarse crumbs. Combine sour cream, egg and almond extract in small bowl until smooth. Stir into flour mixture just until moistened. Stir in cherries. Turn dough onto lightly floured surface; knead 8 to 10 times until smooth, adding small amount of flour, if necessary. Divide dough in half. Pat each half into a 7-inch circle. Place 2 inches apart onto large silicone mat or ungreased baking sheet. 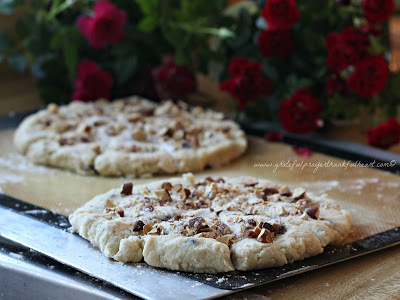 Sprinkle topping evenly over dough. Score each half into 8 wedges; do not separate. Bake for 25 to 30 minutes or until scones are lightly browned. Cool 15 minutes; separate scones. Store leftover scones in airtight container at room temperature. 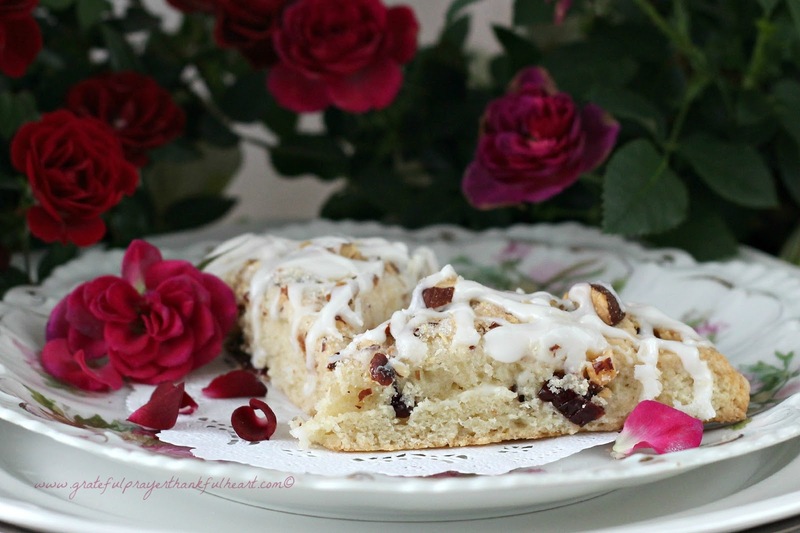 *Substitute 2/3 cup sweetened dried cranberries. The glaze was made using 1 cup confectioner’s sugar, 1/8 tsp. 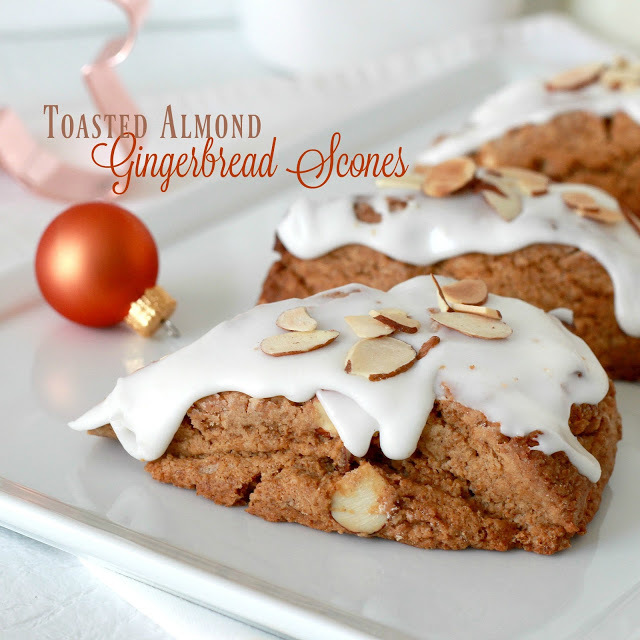 almond extract and enough cream or milk stirred in for desired consistency to drizzle onto cooled scones. These sconces look amazing! How do you keep so slender? You share so many great looking recipes. This is one my friend would love. Thanks for sharing it. These look so yummy, Lorraine!! I have you entered in my Giveaway!! Good luck to you!! Lorraine this looks to good! Of course, I had to pin it. I am so hungry right now. Lorraine -the scones look amazing and inviting!! You are always an inspiration:-) Happy valentines day to you dear Lorraine. These look delicious! I'm going to have to attempt these. They look so good! And as always great photos. Lorraine, Your scones are beautiful – great images! I'll bet they are truly delicious as well!